To understand the basic concept of “virtual telephone systems,” consider your company’s email. You probably don’t manage your own email server. You are far more likely to take advantage of a “hosted email provider,” like Yahoo!, AOL, Google, or one of the many other, smaller-named companies. These providers manage all of the back-end support to ensure that your email address “just works,” and you pay them a monthly or yearly fee. 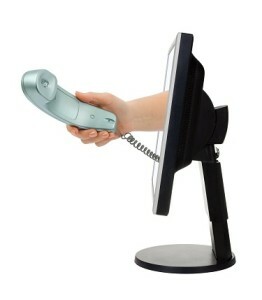 Similarly for phone systems, what really matters to your business is, in fact, the service. Your business needs the phones and a few business-critical phone features to “just work.” Hosted telephone services give you the freedom to pay for the service you need, without the headache of back-end maintenance or expensive equipment. Does the hosted phone system pass the critical benchmarks of simplicity, ease of use, reliability, and reasonable price? Does this technology support my core business objectives? Will this hosted phone system make it easier to impress my customers, control my costs, and support my longer-term strategic objectives? Which of the many possible vendors and solution bundles might suit my needs most effectively? Choose the virtual phone system that best fits your business needs. Simplicity and ease of use. Virtual telephone services allow you to be up and running without specialized hardware. Because your phone system is run by software at your provider’s site, your system setup and call reports are tracked and routed with the provider’s equipment. Usually, this will work in your favor, since their business depends solely on their ability to deliver services all the time, every day. However, a little due diligence is still needed to ensure they have appropriate plans and coverage in case of service interruptions. Sign up and configuration of your system should be rapid. Installation of software on every employee’s computer, specialized telephone hardware requirements, or multi-day (or longer) wait times are all red flags. Plus, they indicate a system that is going to be complicated to maintain. The easiest PBX systems are web configurable, do not have onerous lag times before you are up and running. And, if you need help, come with generous support programs. Once your system is configured, the best programs should work with the phones you already have. Access to the system should go through a simple, uncluttered user interface. Ideally, you and your users should be able to make simple configuration changes from your phone or the web. It should be possible to make changes on your own, without additional consulting fees or time from your vendor. However, if you run into trouble, you should be able to receive immediate assistance. Your new phone system will come with an interface — whether you get a set of tools configurable from your phone’s dial-tone or a website with a login, or both. Interfaces are the primary way that you and your staff will interact with your new phone system every day. It is absolutely paramount that the interface is simple, friendly, and easy to use. A prospective customer who dials your number, and is told, “I think I can transfer you… but I’m not sure it’s going to work…” is not getting an optimal first impression. Similarly, an employee who is intimidated by the complexity of the phone features is not giving the customer his undivided attention. The flexibility and scalable nature of virtual phone systems means that $25 a month (or less) can get you up and running with a reliable provider and a bundle of useful features. With minimal up-front capital investment, these systems represent an extremely low-risk commitment. Those that offer no-risk trials (or free plans) provide an excellent way to test out the system for compatibility with your organization. Providers can also frequently assist you with customized solutions, right away, in order for you to make a well-informed evaluation. If you’re ready to try a virtual phone system with contact management already integrated, Halloo Communications, Inc. is a leading provider of hosted communications for businesses, help desks, and contact centers. Halloo has a variety of features that can help your business. For more information, take the Tour. This entry was posted in Small Business, Virtual PBX, Virtual Phone Systems and tagged hosted communications, hosted phone system, interface by daniel. Bookmark the permalink. Sounds a lot like our office phone systems in Boston. I hear they’re going to update them around Christmas time though, so that’ll be nice. Haha! I was right! Word just came down from Calgary, a new business telephone system rolls out in January!